Aert JACOBSEN (Van Wagenen) (1620 – bef. 1668) was Alex’s 10th Grandfather; one of 2,048 in this generation of the Shaw line. Aert (Aart) Jacobsen was born in 1620 in Wagenengin, Gelderland, Holland. He is the ancestor of all the families mentioned in the earliest town and church records of Ulster and Dutchess Counties, NY., under the names of Van Wageninge and Van Wagenen, came from [Van in Dutch meaning “from” or “of”] Wageningen, a town near the Rhine, ten miles west of Arnheim in Guelderland. 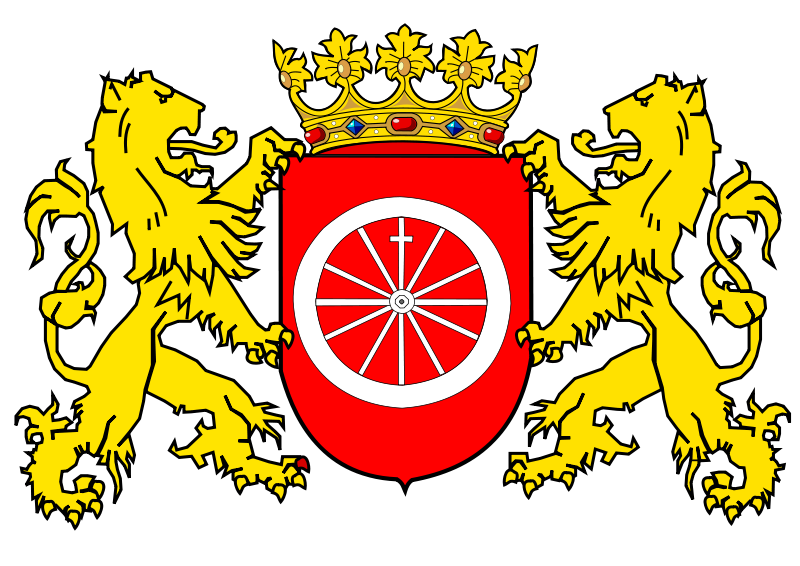 Later his children, in accordance with the custom of the early Dutch settlers, adopted the name of that town (Wageningen) as a surname. Interestingly, he his called Van van Achtienhoven in a 1663 bond and his daughter Neeltje was said (in her marriage record) to have been born in the small village of Achtienhooven (meaning “eighteen farms”) in South Holland, a few miles northwest of Woerden (there is another village of the same name just north of Utrecht. ) Maybe he lived in both places. His father was Jacob Aertse AERTSE Wagenaar. He married Annetje GERRITS VanDen BURG in 1648 in Achtienhooven, Holland. The records of the Reformed people of Achttienhoven in the province of Utrecht are to be found in the Westbroek church books. The marriages records do exist for the time frame 1611-1666 in Westbroek. Up to 1640 the book of Westbroek is hard to read, but we’re very lucky, because: “den 31. Maij 1640 Aert Jacobs j.g: van Acht-thienhoven EV. Annetien gerrits van Schaijck j.d: mede van Acht-thienhoven tot West broeck bevesticht den 21. Junij 1640.” (DTB Westbroek 197/53). According to the church book, they both lived in Achttienhoven and married on June 21st 1640 in Westbroek. Annetje Gerritse VanDen Burg was born in 1624 in Wageningen, Gelderland, Holland. She died about 1666 in New York. 25 Feb 1677 1715 Esopus (Kingston), Ulster, NY. Aert’s father Jacob Aertsen Wagenaar was born about 1612. He sailed from the Textel aboard the “Calmer Sleutel” (Calm Water) at the age of 25, in 1637, and arrived at New Amsterdam on August 4, 1642. That same year, he moved to Rensselaerswyck (Albany, NY) with Evert PELS and others. He was probably the father of Aert Jacobsen Van Wagenen (Wageningen), the ancestor of the Van Wagenen family of New York. In the general notes from the records of the Corporation of Kingston, the 1st volume of those minutes open with the Indian Treaty made on Oct.7, 1655 between Governor Nicolls and certain Sachems (Indian Chiefs), and the name of Jacob Aertsen is listed as in attendance. Aert Jacobsz; occupied apparently as early as 1648, a farm at Bethlehem which was destroyed by fire before May 1654. Bethlehem is just south of Albany. He then leased for 12 years a farm in Greenbush, north of Cornelis Hendricksz van Nes. The word Greenbush is derived from the Dutch “Greenen Bosch,” referring to the pine woods that originally covered the land. The first settlement of the land now known as East Greenbush was made by tenants under Patroon Kiliaen van Rensselaer around 1630. The first appearance of the Van Wagenen name after its adoption as a family name is in the baptismal records of the Dutch church at Kingston. which commence in 1660. There it is given as Van Wageninge, from about 1675 to 1700. After this it appears as Van Wagenen and at present. there are a good many variations in the name, as Van Wagner, Van Wagoner, etc., among some branches of the family. Aert Jacobsen leased a farm from the Patroon (Killian Van Rensselaer or one of his heirs.) Under this arrangement the Patroon owned the buildings, stocked the farm with animals and owned the land. The patroon collected the rent, tithes, and recieved half the increase from the animals. About 1661 Aert moved to the Esopus. On Sept. 17, 1660, Aert purchased a piece of land in Esopus (Kingston, NY) from Johanna Delaet, the wife of Jeronimus Ebbinck. This land was bounded by the lands of Jans Schoon, Aert Pieterse Tack, and Tjerck Claessen (De Witt). Aert Jacobsen and his wife Annetje Gerrits were received as members of the Dutch Church at Kingston, 24 Jun 1661. It would appear that Andries de Vos built the first mill on the Vloman Kill. A court ruling of 21 January 1649 states that Andries de Vos is to pay the patroon’s dues on his mill at Bethlehem to the sum of f62:10 (62 guilders and ten stuivers) a year. This is the earliest use in the records of the name Bethlehem. 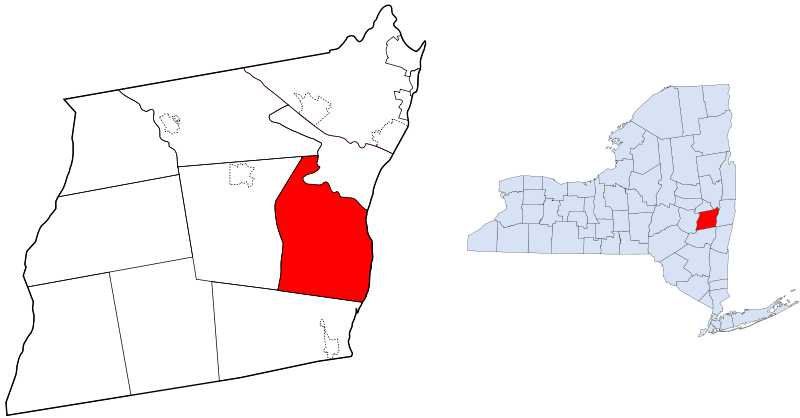 The first patroon had divided Rensselaerwyck into districts, calling the area south of Fort Orange — roughly the town of Bethlehem as it would be formed in 1793 — Byler’s dal in honor of his first wife, Hellegond van Byler. The general assumption has been that not long after the patroon’s death, someone renamed Byler’s dal as Bethlehem. But Bethlehem in the 17th century was limited to a much smaller area, comprising only the two farms adjacent to what was then called Bethlehem’s Kil (the present Vloman Kill), together with the offshore islands. In terms of today’s topography, allowing for changes in the shoreline caused by landfill and dredging of the river channel, the area would include Bear Island, Parda Hook, the Putney property, Henry Hudson Park, the sewage treatment plant, the Nicoll-Sill property, the cemetery lot, and Schermerhorn Island. After Andries de Vos, the next farmer north of the Vloman Kill was AERT JACOBSEN. It is in connection with him that the name Bethlehem occurs for the second time in the records: Gerrit van Wencom declares that a certain Mahican, whom he (found) at Aert Jacobsen’s, at Bethlehem, on Wednesday, the 8th of December 1649, said Indian being quite drunk with anise water, assaulted an fell upon him in cold blood and almost strangled him, in such a way that his head was extremely swollen, but that he was accidently released by another Indian. This was the fourth assault on the deputy schout that year, but perhaps the greater annoyance to van Wencom was Aert Jacobsen’s refusal to sell him liquor on credit, which was why he had gone there in the first place. In that same month Jacobsen’s wife defied an order to turn over one of Rensselaerwyck’s heifers to Jan Reyers. A second order, which included a penalty of “three guilders for each day’s delay after sight hereof”, seems to have ended the squabble. The following is from the records of the colony which were sent to the Patroon, as recorded on the indicated page of the VAN RENSSELAER BOWIER MANUSCRIPTS. The patroon furnished the animals for the farms which he leased to his Tenant Farmers. In 1651 an inventory was taken of the animals which he had shipped to the various farms of the colony. Mr. Johan Baptista van Rensselaer, director of the colony of Rensselaerswyck, has agreed and contracted with Aert Jacobsz, about the lease of a certain tract of land lying tin the aforesaid colony in ‘t Greenebos, north of the farm of Cornelis van Nes, on the following conditions. The lessee shall have the use of the aforesaid tract of land for 12 successive years, commencing on the first of May 1654, and may enlarge and clear the said land as much as he is able, but without prejudice or detriment to the adjoining farms or any one else, provided that he shall alone defray all expenses of whatever nature they may be and that at the expiration of the lease he must turn over the cleared land to this honor aforesaid or this successor, freely and without receiving any compensation therefor, with the exception of the fence, for which he shall be paid or compensated according to the appraisal of impartial persons. As to the rent, the lessee shall have the use of the land which is clear during the first two years without paying any rent or tithes, but the stipulated toepacht he must pay each year of the lease; during the other 10 years the lessee shall for the use of the said land pay an annual rent of 25 guilders besides the tithes [20% of the crop], in merchantable [grain] or other current form of payment. The lessee may keep as many hogs as the can without damage to any one else. The lessee may keep two cows on the aforesaid land without paying anything for their pasturage. The lessee promises that during the term of the lease he will conduct himself as an obedient and humble colonist, submitting himself to the honorable court of the aforesaid colony and to tis laws and ordinances. In confirmation whereof, Mr Johan Baptista van Rensselaer and Aert Jacobsz, together with Schout Gerard Swartt and Cornelis van Nes, as witnesses thereto invited, have ratified this with their signatures Done in the aforesaid colony on the date above written. Was signed Johan Baptist van Rensselaer, Aert Jacobsen. As Witnesses: G: Swart, Cornelis van Nes. Below was written : Executed to my knowledge, Anthonio de Hooges Secretary. This copy agrees with the original which I Certify, D: V: Hamel, Secretary. On the date underwritten, mr Jan Baptista van Rensselaer, in his capacity of director of the Colony of Rensselaerswyck, on the one side and Aert Jacobsen, on the other side, have amicably agreed and come to an understanding about the accident of the burning of the house, barn and barracks on the farm at Bethlem heretofore occupied by the aforesaid Aert Jacobsz. It is contracted and agreed that the aforesaid Aert Jacobsz shall pay once and for all for the aforesaid damage to the director or his representative the sum of 300 guilders in Merchantable wheat at 10 guilders a mudde, in two instalments, one half each winter after the date hereof. It is further expressly stipulated and provided that the aforesaid Aert Jacobsz shall be free to recover all his interest and claims arising from the damage suffered by the fire on the aforesaid farm, either at law or in friendship or in such other manner as Aert Jacobsz shall see fit from Pieter WINNE or his partners or the people with whom he has made a contract, and hereby all claims which might be made on account of the said damage in the name of the patroon and the codirectors are declared null and void, including the claims of the servant Dirck de Grooyer, and said claims shall at no time be renewed. Not included in this agreement is the farm debt which Aert Jacobsz must pay according to his account. In testimony of the truth the contracting parties have signed these with their own hands under pledge according to law. Thus done and passed in the Colony of Rensselaerswyck, this 10th day of September 1658. Was signed: J: B: van Rensselaer, Aert Jacobsz. This copy agrees with the original, which I certify. D: V: Hamel, Secretary. On this day, the 24th of January 1663, Theunis Dircxsz van Vechten acknowledges that he is well and truly indebted to AERT JACOBSZ van ACHTIENHOVEN in the sum of 77 guilders in beavers, growing out of the matter of the balance of purchase money for a house, fences and outbuildings upon the land called Groenendal, lying (at the south end where the descent is toward the island of Paepskene, in the Greyne bos in the colony of Rensselaerwyck, which said sum he…promises to pay in the month of June next in good, merchantable beavers at 8 guilders each…Done in the colony of Rensselaerwyck, dated as above. Appeared before me, Johannes La Montagne, in the service of, etc., Madame (Juffrou), Johanna De Laet, wife of Jeronimus Ebinck, who declares in presence of the afternamed witnesses, on the one side that she has sold, and Aert Jacobsen on the other side, that he has bought, a certain piece of land lying in the Esopus in New Netherland, adjoining on the northeast side the land of Jan Schoon and Aert Pieterse Tack, on the northwest side Tjerck Classen (De Witt), southwest the hill, containing forty-seven morgens and two hundred and fifteen rods, for the sum of six hundred guilders, half beavers and half wheat at market price, in three installments, to wit in June, 1661, the third part of said sum, in June 1662, another third, and the remaining third part in June, 1663, the said Madame promising to free said lot from all demands and pretensions which may come against said land, the respective parties for mainnenance of said contract pledging their persons and estated, real and personal, present and future, and submitting the same to all laws and judges (as the acceptant also does his person). Done in Fort Orange the 17th of October, 1660, in presence of Jan Pieterse Muller and Geurt Hendrikse as witnesses. Oct 1661 – Jacob Joosten, plaintiff, vs. Aert Jacobsen. Default. Albert Gysbertsen, plaintiff, demands from Aert Jacobsen payment of the value of 3 beavers, wages earned for making a plough. The defendant answers he owes no more than 2 beavers and a half. the Commissaries find that plaintiff is entitled to his full wages, and thereupon defendant is ordered to satisfy the plaintiff. Jan Janse Brabander, plaintiff, demands from Aert Jacobsen, defendant, payment of the value of 10 schepels of oats. The defendant admits the debt and promises to pay the oats. Aert Pietersen Tack, plaintiff, demands from Aert Jacobsen payment of the amount of 81 schepels of oats. Defendant admits the debt, but says he is now unable to pay. Requests time. Commissaries order defendant to pay the plaintiff 20 schepels of oats every 2 weeks until the debt is paid. Cornelis Jansen van Dost, plaintiff, demands from Aert Jacobsen payment of the amount of 61 guilders, zeewant, for wages earned. Defendant admits the debt but says he carted a load of stone for 6 guilders, zeewant. The Commissaries order the defendant to pay plaintiff 55 guilders, zeewant, within 14 days. In the matter of the elections, the Schout and Commisaries have decided to nominate the following persons to govern us hereafter, subject to the approval to the Very Noble Honorable Lord Dirctor General and the Lord High Councillors: Thomas Chambers, Jan Willemse, Tjirick Classen de Wit, Albert Gysbertsen, AERT JACOBSEN. The Noble Lord Director General and High Councillor Gerret Decker were this day here present. The Lords Director General and Councillor continued Evert Pels and Aldert Heymanse Roose as Commissaries, and from the Moninees above mentioned appointed Alberty Gysbertsein and Tjirick Classen de Wit. *There follow several other instances of Aert Jacobsen being ordered to remit payments to various plaintiffs. Roelof Swartwout, Schout, plaintiff, vs. Aert Jacobsen and Gerrit Aertsen, his son, Aert Jacobsen’s daughter, Aert Jacobsen’s servant, Andries, defendants. Plaintiff demands from the aforesaid defendants, for their violation of the ordinance dated 4 August last, that no one should venture out to mow without consent and a proper convoy, a fine, from Aert Jacobsen, of 75 gldrs; from Gerrit Aertsen, of 75 gldrs. ; from Aert Jacobsen’s daughter, 25 gldrs. ; from Andries, his man, 25 gldrs. Defendants answer they are not liable for the payment of the above fines and request copy of the judgement. The Court orders defendants to pay plaintiff the full amount of the fines. Roelof Swartwout, Schout, plaintiff, vs. Aert Jacobsen, defendant. Plaintiff complains to this court that defendant said that the Lord God would some time avenge himself upon the Lords who are here on the bench. Defendant does not deny having said so, and the Commissaries Albert Gysbertsein and Gysbert van Imborch also confirm they heard him say so at the house of Schout Roelof Swartwout, and once at the bridge. The Court orders defendant to submit, at its next session, his reasons for saying that revenge should be called down upon it. Roelof Swartwout, Schout, plaintiff, vs. Aert Jacobsen, defendant. Plaintiff accuses defendant of being a desecrater of the Sabbath, he having on that day taken a load of beer to this house, for which plaintiff seized defendant’s wagon and beer, and that, notwithstanding the seizure, the defendant fetched the wagon and beer to his house. Defendant denies having attempted to take a wagon load of beer home on a Sabbath or Sunday, but offers to prove that the Sabbath had expired. The Court allows defendant time until the next session to prove the above. Roelof Swartwout, Schout, plaintiff, vs. Aert Jacobsen, defendant. Defendant is asked by plaintiff what he has to say to the Honorable Court, in view of the record of the previous session of 9 October — handing him the papers. Defendant humbly asks forgiveness, saying that, if he said anything which unguardedly escaped his lips, may the Honorable Court pardon him therefor. Plaintiff demands that defendant be punished for the aforesaid words, either by a money fine of one thousand guilders, or that he be referred in this matter to the Director General and Council of New Netherland. The Honorable Court, having heard the Schout’s demand and also the humble repentance of defendant, besides his confession, sentences defendant, Aert Jacobsen, to pay a fine of 25 gldrs., with costs, the fine to be applied as usual. Plaintiff requests an appeal hereupon, which is granted by the Court. Roelof Swartwout, Schout, plaintiff, vs. Aert Jacobsen, defendant. Plaintiff appears against the defendant for desecrating the Sabbath, having appeared against him on 9 October, and having handed him a copy of the papers. The defendant appearing, says he has nothing to offer, in view of the foregoing papers, to prove that the Sabbath had expired. The Honorable Court sentences the defendant to pay the plaintiff a fine of one pound Flemish (six guilders or $2.40), in this case. Aert Jacobsen requests a lot at Wildwyck for the purpose of building a house, barn, and loft, because he has rented his land to someone else. Refused. Aert Jacobsen and his wife Annetje Gerrets complain about violence committed against them in their house on this day, by Christoffel Berrisfort and five English soldiers who entered their house fully armed and took from them by violence a ham, which the aforenamed wife wanted to prevent and was wounded in the arm by Daniel Botterwout while he was cutting loose the ham in the presence of the court-messenger Jacob Joosten. Said Botterwout furthermore drew his sword for the purpose of resisting those who would prevent him from taking the ham with him. Aforesaid Aert Jacobsen declares that on 29 January last he provided his soldier, Tomas Marcham, with provisions for a whole week, and that he asked him if he wanted more; he said he had enough. Said soldier, the day before yesterday on 2 February, sent Samuel Olivier for bread which plaintiff gave him, and further asked him whether the aforenamed soldier wanted meat or pork, to which he answered, not to have orders from him concerning the same. Thereupon, yesterday, another soldier, Tomas Elger, coming to their house for meat and pork, they refused the same to him because, before this, while their soldier was stationed at the redoubt, another also came, by his authority, for meat and pork which was sent to him, and when he was relieved from the redoubt and came back home, he said that he had had enough food and had given no orders to get more…Juriaen Westphael and his wife complain of the same Daniel Botterwout entering their house on the same day, fully armed, and demanding meat and pork. Mr. Berrisfort was talked to about the violence committed against Aert Jacobsen in his house by him and 5 soldiers, and at the same time shown the evils which might ensue from similar violence. He is therefore requested to conduct all the English soldiers abour 8 o’clock tomorrow before the hon. court for the purpose of again reading to them the instructions given to the hon. court here by the hon. Ld. Governor of New York thus to prevent any disasters. To all Christian people to whome this present writing shall or may come GERRIT AARTSEN of the Corporation Kingstown in the County of Ulster—JACOB AARTSEN of Wagendaal in said County of Ulster, GRIETIE ELMENDORP of Kingstown aforesaid, widdow, and ARENT FYNHOUT son and hiere of NEELTIE AARTSEN deceased send greeting. Whereas AART JACOBSEN Late of Kingstown aforesaid deceased–Did by his Last Will and Testament give & bequeath his whole estate unto his five children the above named GERRIT AARTSEN, JACOB AARTSEN, GRIETIE ELMENDORP, NEELTIE AARTSEN Mother of said ARENT FYNHOUT, And to ELIZABETH MASTON wife of CORNELIS MASTON of Kingstown aforesaid. And whereas they have devided theire said fathers farme or Bowery Scituate Lying & being in the bounds & limits of the Corporation of Kingstown aforesaid on the north side of the Esopus Creek of kill on the great piece And the Lott No four by said devision is fallen unto said ELIZABETH MASTON Now know yee that the said GERRIT AARTSEN, JACOB AARTSEN, GRIETIE ELMENDORP, and ARENT FYNHOUT for Divers good Cause & Vallid Considerations them there unto moving but more and especially for the avoyding and putting aside all strife and difference that hereafter might arise about said farme or bowery Have given granted Released Rattified and Confirmed And by these presents do for themselves and theire heires freely Clearly & Absolutely give and Release Rattifie and Confirme unto the said ELIZABETH MASTON her heires & assigns for ever All that aforementioned Lott of Land No four being bounded Northeasterly by the Lott No three belonging now unto BARENT VAN BENTHUIZEN Assigne of said ARENT FYNHOUT, Southeasterly by the Land of said GRIETIE ELMENDORP Called Creupelbush, Southwesterly by Lott No five belonging unto said JACOB AARTSEN and Northwesterly by the great hill So as the same was Layd out & Stones Sett. To have and to hold the said Lott of Land being No four together with and all Singular the benefits advantages Commoditys profits priviledges hereditaments and appurtenances there unto belonging or in any wise appurtaining unto her the said ELIZABETH MASTON her heires and assigns for ever and to the only proper use benefitt & behoffe of her the said ELIZABETH MASTON her heires and assigns for ever. In Wittness whereof the said GERRIT AARTSEN, JACOB AARTSEN, GRIETIE ELMENDORP and ARENT FYNHOUT have hereunto interchangably put their hands and seals in Kingstown this sixth day of November Anno Dom 1710. Neeltje was said (in her marriage record) to have been born in the small village of Achtienhooven (meaning “eighteen farms”) in South Holland, a few miles northwest of Woerden (there is another village of the same name just north of Utrecht). Gerrit Aertsen is sometimes believed to have been Jacob’s twin. Gerrit’s wife Clara Pels (sister of Sara Pels) was baptized 10 Sep 1651 New Amsterdam. Her parents were Evart PELS and Jannetje SYMONDS . 20 Feb 1688 – Gerrit was granted a tract of 26 acres south of the Esopus Kill, by the trustees of the Village of Kingston. The tract of land purchased by Gerrit, Arie Roosa, and Jan Elting, consisted of about 1500 acres along the Hudson River, and that tract, with another tract adjacent to it, owned by others, are covered by a patent recorded at Albany in Book 6 of Patents, at pages 328, 329, and 330. A more detailed description of the transaction is found on page 252 of the “History of Dutchess County” by James H. Smith, published in 1882. It is noted that the first deed for lands, in what was later to be Rhinebeck Township, was granted by the Indians on June 8, 1686, and is a transfer on the part of Aran Kee, Kreme Much, and Korra Kee, all Indians, to Gerrit Artsen, Arie Rosa, and Jan Elton, for 6 buffaloes, 4 blankets, 5 kettles, 4 guns, 5 horns, 5 axes, a tin can of powder, 8 shirts, 8 pair of stockings, 40 fathoms of wampum, 5 gallons of rum, 2 drawing knives, 2 adzes, 10 knives, and a frying pan. This land, called “Mausakenning” by the Indians, was a meadow and separate parcel of land that was an outright gift from the Indians. It later became known as “Jacomyntie’s Fly”, probably named for the wife of Jan Elton (Elting), one time owner of the “Fly”, who sold it to Henry Beekman in 1689. Jan and Jacomynte Elting had a daughter named Aaltje, who later married Gerrit Aertsen’s son Aart Gerritse (Van Wagenen) (#3017). Further information regarding these lands will be found on the following pages, under the heading of “Linwood, Wildercliff and Ellerslie”. 24 Jun 1673 – Between Gerrit and Tierck Claesen, a request that Claesen close the fence because of damage suffered. Answered that it was erected prior on the farm of Jacob Hop. 27 Feb 1674 – Gerrit “asks for payment for the confiscated lumber of Mr. Lavall. Court orders Schout Grevenraedt to pay out of the effects of Mr. Lavall”. 24 Apr 1674 – Between Gerrit and Tierck Claesen, “complainant’s say that defendant made his children break through their fence for the purpose of driving his horses through the same. Answer: That he can only get off his land through the aforesaid fence. He took out the rails, led the horses through, and put back the rails. Jacob Jansen testifies that said children broke the fence, drove the horses through and left the same open. Requests that no one shall drive through. Court orders Claesen not to use the fence. Claesen requests that each shall erect one‑half. Court denies request. 1 Apr 1678 – “Partition and division between heirs of estate of Annetie Gerritsen, widow of AerdtJacobsen”. 20 Mar 1679 – Between Gerrit and Mattue Blansjan, Sr. “Debt. 120 scheples of wheat”. 30 Apr 1679 – Between Gerrit and Tierck Claesen “complains that he has been forbidden to use the road. Court orders that the road shall be used by everybody”. To all Christian people to whom this presents shall or may come, Tjerck de Witt of Kingstowne in the County of Ulster sendeth greeting. Whereas the said Tjerck de Witt for divers good causes and considerations him thereunto moving but more and especially for and in consideration of and acknowledged gerrt(?) hereafter reserved, hace given granted alenated assigned and sett over, and by these presents doe give, grant, alienated, enfeofed, assigned and sett over unto Gerrit Aertse of Kingstowne aforesaid a certaine tract or parcell of upland scituate lying and being in the Corporation Kingstowne abovesaid, to __ southerd of the Esopus Kill or Rever with a direct line to the Horly path, that is to say as the land of the said Tjerck d’Witt & Gerrit Aertse at the Northe__ of the said Kill is devided that soe uppon a stright line to __ southerd of said Kill to the pathe of Horly aforesaid shall for ever remaine the bounds between them and from said bounds alond said path and rover to the land of Gerret Aertse and Grietie Elmendorp. To have and to hold the said tract of land with all and every its appurtanance thereunto belonging…the said Gerrit Aertse and his heirs and assignes for ever paying therefore yearely and every yeare unto the said Tjerck d’Witt his heirs and assignes for ever, three dung bill fowle, and likewise that the said Gerrit Aertse is tho make & maintaine the Ring fench as for as land, and obligdged to make & maintaine the halfe of the middle fench when the said Tjerck d’Witt or Gerrit Aertse will improve their land. In testimony whereof the said Tjerck d’Witt have hereunto sett his hand and affixed his seal in Kingstowne this 22th day of April 1695. Will of Gerrit Aartse, of Kingston, “Landtman” Dated 17 Dec 1715, and written in Dutch Proven 9 Mar 1722/23, Long religious preamble. To my worthy wife Claartie Aartse one third of the income from my whole estate for life, she to have the right to live in the house I now occupy. My youngest son Simen van Wageninge shall have all my land north of Esopus Kill, as the same was inherited by me from my father, Aart Jacobse, as well as conveyed to me by Sweer Teunissen. He shall also have my pasture land and farm south of said Kill with house and barn, he and his heirs to be bound to pay for the same to my other heirs the sum of £600 in five years, one fifth each year. As heirs to my whole estate, I apppoint my eight children, begotten by my said wife, by name Evert can Wageninge, Barent can Wageninge, Goosen van Wageninge, Jacob van Wageninge, Simen van Wageninge, Jannetie wife of Barent van Benthuysen, Annetie wife of Henricus Heermans, and Neeltie van Wageninge as well as Gerrit van Wageninge, son of my eldest son Aart van Wageninge, deceased. Gerrit van Wageninge shall have, in advance, a sum of £50. Grietje was probably born at Utrecht, however she was baptized at Albany in 1647. Jacobus, who was a trustee of the Corporation of Kingston (1710 – 1712), made out his will (written in Dutch) on August 27, 1685, and appears to have died before 1688. “Gertie Van Elmendorf” made out her will (also written in Dutch) on November 13, 1699. Her will was proved at Kingston on October 16, 1714, and was confirmed by Governor Hunter on December 13, 1714. There are no records of her prior to the baptism of her first child, Johannes, at Kingston on March 31, 1678. This entry was posted in 12th Generation, Immigrant - Continent, Line - Shaw, Public Office and tagged Client of Patroon Rensselaer, Den Calmer Sleutel 1637, Second Esopus War, Slave Owner. Bookmark the permalink.